Quite the opposite actually. I was quiet, shy, hoping to “fly under the radar”, just fit in and not be noticed. I rarely raised my hand in class. I dropped out of choir when I found out I had to sing a solo. Complete fear set in that I’d be center stage. All eyes on me. WHAT? NO WAY! I’m OUT! 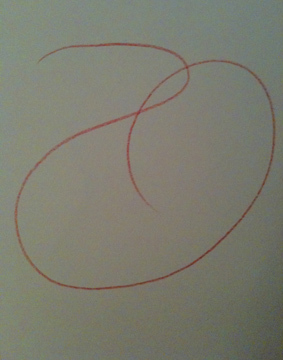 When I started the “Do The Doodle” 30 Day Challenge a few weeks ago…well, I almost didn’t. I almost chickened out at the last minute. It meant I had to put myself out there. I had to “speak out” through my journal drawings. I had to SHARE my personal thoughts and feelings. Dude, really? That’s SUPER scary! Not just the thoughts and feelings part but my drawings too. “My handwriting is so UGLY”! “People will…[laugh, judge, think I’m strange…]”. “I’ll share something personal and someone might discover all my secrets”. But, something pushed me to do it. To just let go and do it. My voice is important. It matters. Speaking up feels good. It’s empowering. But most important, I’m learning, is that it makes a difference. To OTHERS! When I silence my voice, I silence others too. When I don’t share my thoughts, I don’t fully show up. Others don’t benefit from my contribution. And I, in turn, don’t benefit from theirs. F/A Train Doodle with colored pencils! Doodling on the subway is fun...but challenging! I know. 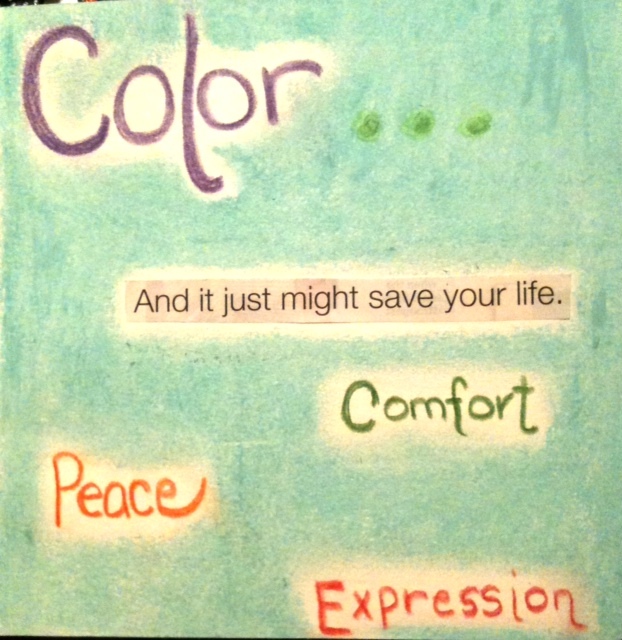 It’s just some colors on a page. Maybe a few words. But really, it isn’t. It’s so much more. Yesterday I drew 3 Doodles. I judged each of them. I didn’t like any of them. Most of my Doodles weren’t about listening to what that inner voice was saying. They were about my image and your acceptance of it. I hesitated about posting anything. But in the end I did. I posted the “worst” one (visual judgement again). The first one. The one that really carried my message and where I was in my life at that moment. It resonated. With several people. But for one person, it resonated in a big way. It touched on an emotional level something really challenging that she’s dealing with in her life. It became a dedication to someone she loves. Just a simple little Doodle. Done while sitting on my bed like a teenager. Expressing a message from inside. Making a difference in someone else’s life. A message that almost didn’t reach her because of my own self judgement. How sad that would have been! I contributed. She benefited. I benefited. Maybe you are benefiting too? 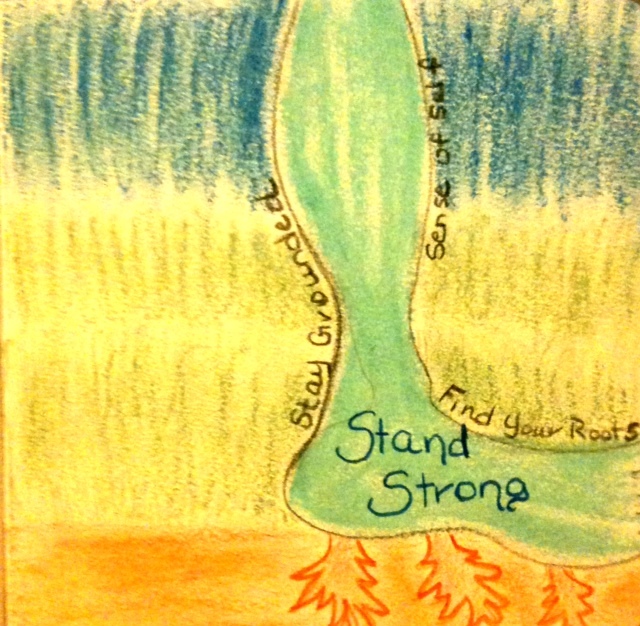 Colored pencils and pastel Doodle inspired by a conversation with a friend about rooting ourselves. When I finally got around to doodling at the end of the day, my first mark looked like a foot! However you decide to share your message and use your voice, do it! Don’t hold back. Don’t hide. You are important. You are here for a reason. Me, I’m going to continue “coloring out loud” because it works. For me. For others. It’s about to get LOUD in here! Getting DARING! Pastels, colored pencils, AND magazine clipping (GLUE STICK) doodle! I started with the clipping and when I read it the word "color" jumped in there. A BIG thank you to “Team Doodle” for joining me on this adventure! If you didn’t join the Challenge, no worries! You can start doodling NOW. Here’s how I got started. And, I’ve been asked to do another Challenge when the 30 days are up. I think the Doodle is here to stay for a while. My favorite Doodle yet. 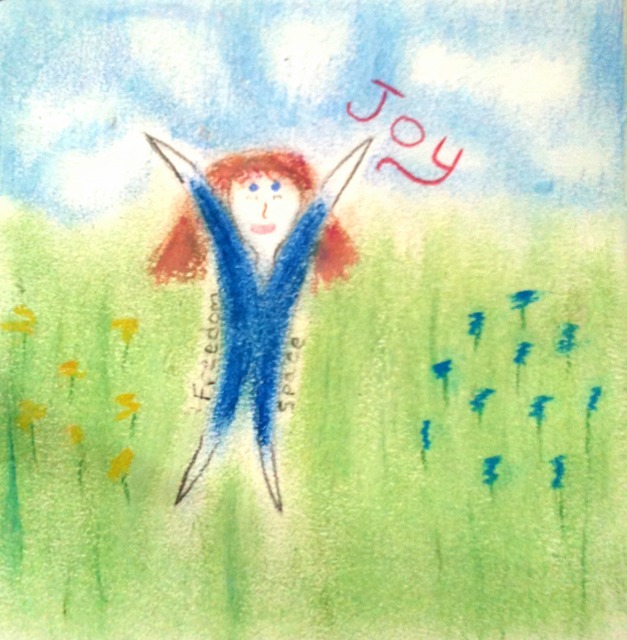 A vision of freedom and joy in pastels. A Doodle Challenge Update – Do The Doodle! Zan Packard of Loving The Adventure has taken up the challenge and is “Doing the Doodle” daily! She’s also finishing final edits on her FIRST book this week! Zan used to write in her journal first thing every morning. Now she grabs her COLORS and doodles…before she even has her first cup of coffee. That’s Doodle Dedication! 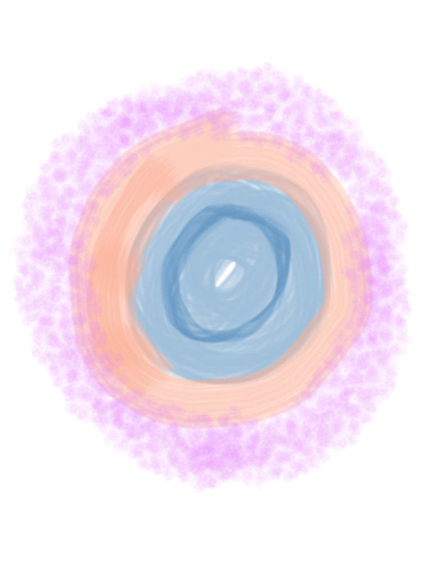 Zan says she can physically feel the shift as she begins to relax into the Doodle and let her art lead her words. Tom Evans of Whole Brain Thinking Whole Mind Connection is Doodling daily too. I love Tom’s Doodles. They are always inspiring. This is one of my favorites! Tom is Doodling from Guildford England! We're going INTERNATIONAL! 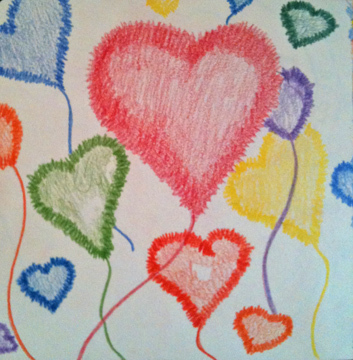 My Melissa Anne “twin”, Melissa Anne Brummerstedt, of Honey Bees Cakes is sharing her doodles too. I’m “Doing The Doodle” every day too! Here are a few of my favorite doodles from this week. This one was just a fun, flowy, wordy free for all. It even has some hidden words JUST FOR ME! I woke up in a “not so great mood” but after doodling I felt so much better!! This one I did late in the day yesterday. I was inspired by the vision board that hangs on my closet doors. 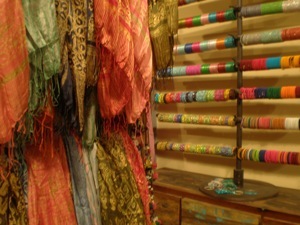 The shapes and colors are from images of textiles and designs from Morocco. The words came from within and from the vision board. 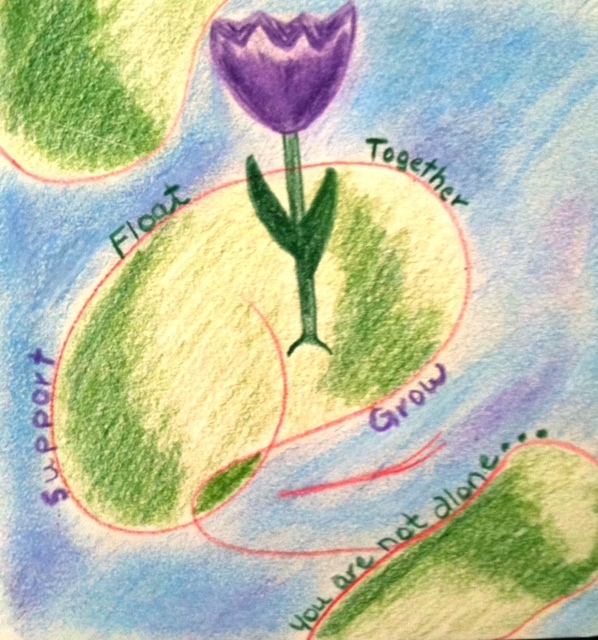 After I Doodled I sat down to create this blog post. I think there was a reason I waited until late in the day. After a long day of designing for a client, I was tired and ready to shut down. 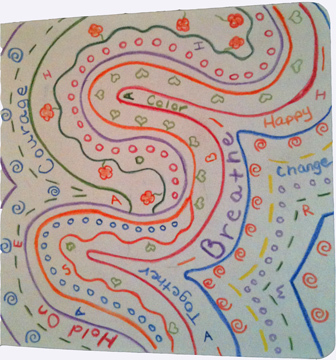 The Doodle energized me to come share and “COLOR OUT LOUD“! It’s so easy! 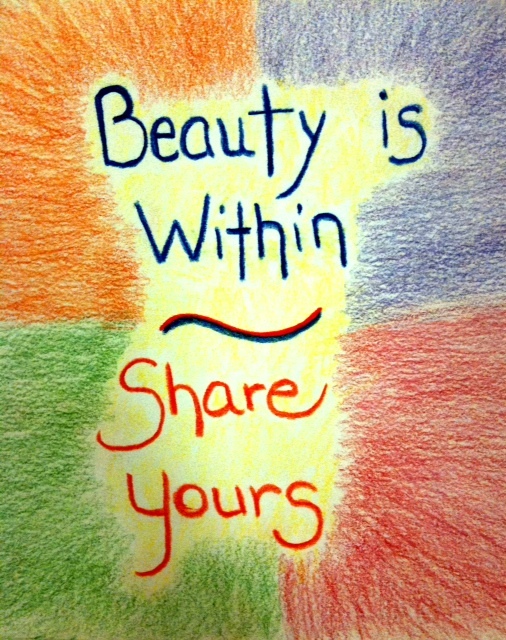 Just grab some crayons, colored pencils, pastels, markers….anything you feel comfortable “coloring” with. Get a journal… I chose a special journal just for the 30-day challenge as a treat and motivation. 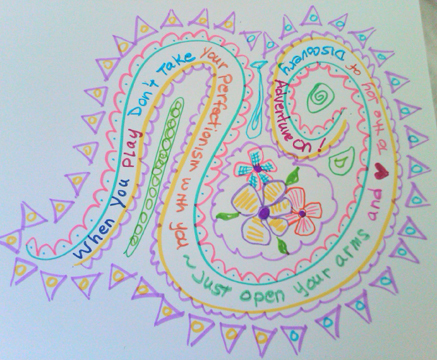 Grab a color, whatever color speaks to you and start Doodling! 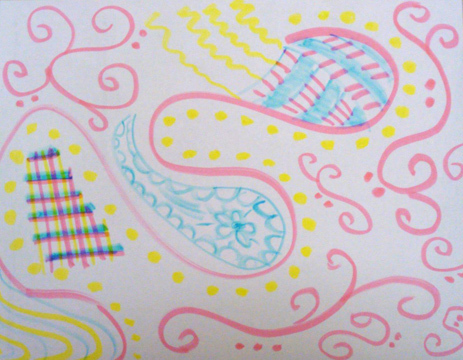 Doodle for 5-10 minutes and feel the relaxation set in. If words come to you, or thoughts emerge, add them to the Doodle. 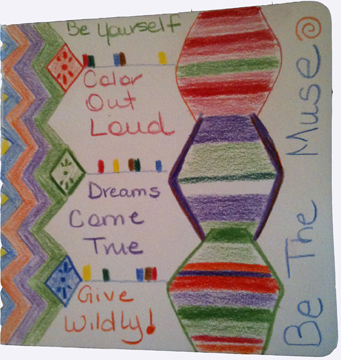 It’s your inner voice “coloring out loud“. I just made this mark in my journal. Tomorrow morning I’ll use it for my Doodle and see what it becomes. Check out my Facebook Page to see it! Open your eyes and see if you see anything in the mark. Turn your journal all around if you need to. There is no top, bottom or side to my journal. It’s an open canvas for MY mind! No rules here!! If you see something start coloring it in. If you don’t add more marks or just add color. Maybe you never “see” anything. Some days it’s just about the release or the thoughts that come when you give in to the process. Try it! Don’t judge your final product. We’re not looking for gallery art here. We’re letting your new voice out! Can you find the original mark? Remember..NO RULES! “Do The Doodle” and join the 30-day challenge on my Facebook page! Did you know that Elizabeth Gilbert’s video on TED is the most watched? I learned that last Thursday when I went to see her speak at an Academi of Life event in NYC. This little factoid was thrown out during her introduction and I felt myself shrink down in my seat when I heard it. It’s ME! I’ll admit it! I’m a stalker. So when I took my stalking admiration for her “offline” and went to hear her speak last week I was not disappointed. She had that same humor (I think I shed a few tears), the genuine spirit of the girl next door you want to go have dinner and a glass of wine with (no worries, not in a stalker kind of way…just a “wow, she’s a cool chic” kinda way), and the insight that touched my heart once again (OK…I definitely shed a few tears). She looked fabulous! Dressed in a fashionable “greige” (you know…grey and beige…we’re into color here) color palette with her adorable little pigtail hairstyle. A combination of classy and unique! Here are some of my favorite moments, stories, and quotes from the evening. Elizabeth has always been a writer. She says it’s who she is and the only thing she’s ever been able to do well. In the beginning she wrote just to write. No expectations for fame or grandeur. No desire for it to pay the bills. She just followed her soul’s calling and did what she loved. She wrote. Elizabeth discussed the struggle between the vision and the dream and the occasional disconnect. When the vision of what you want to make gets made…but doesn’t look like the vision you had in your head. She calls it the “non-identical twin of your dream”. I love this idea because it happens often when we are creating. The song, the painting, the final photo isn’t what we saw in our minds eye when we were creating it. Sometimes it’s better…sometimes it’s not. A great lesson when the vision doesn’t come. Wait, be patient, engage your mind in other activities…until it comes. It will come. 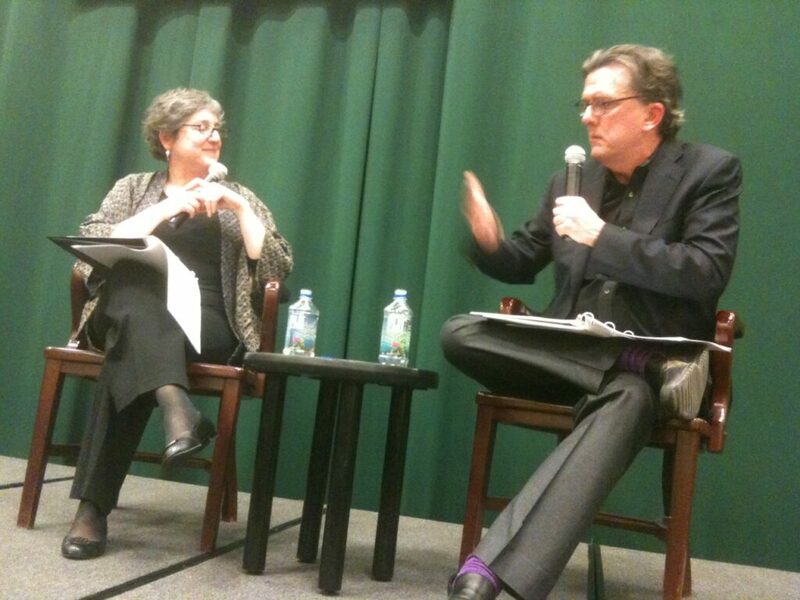 It was a wonderful evening of inspiration and humor. She may think writing is the only thing she does well, but this stalker admirer believes she has a beautiful gift for words, both written and spoken and the ability to bring humor and inspiration into the world. I think Elizabeth has an amazing genius. She also has a store in NJ called Two Buttons Imports. I haven’t been but I checked it out online. Antiques. 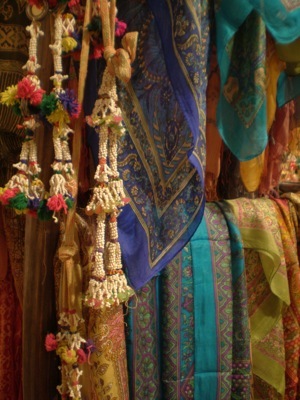 Treasures from Southeast Asia. COLOR!! I’m no stranger to Spark. Every Sunday night I read The Spark by Debbie Phillips. An inspiring newsletter for women looking for inspiration, strategies, and support in creating their best life and reaching their dreams. Over the next few weeks, I’ll be adding another “Spark” to my reading list. 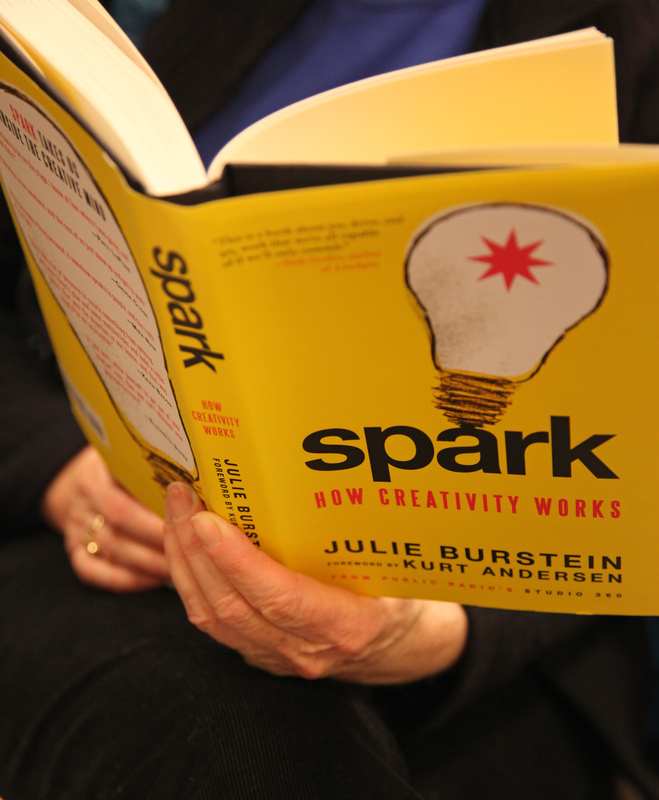 Yesterday Spark – How Creativity Works was released. I’m a creative. So I’m interested in the theory behind creativity and how it all works. I get more interested in it as my creative journey continues and I battle my own internal ebbs and flows in creativity and doubt and meet other artists who face the same issues. I was excited to hear the book’s authors speak at Barnes and Noble TriBeCa last night with a few of my Artist Way Group friends. We all live in the same neighborhood so we met at the corner subway and made an evening outing out of the event. We were, collectively, an actor, a photographer, and a writer. Our own little sparky group of creativity. Spark has its origins in Public Radio’s Studio 360 weekly interview show focusing on creatives, but Spark isn’t just a transcript of the radio interviews. It goes far beyond that. It’s a study, an evaluation of the themes, inspirations, and processes culled from the hundreds of interviews conducted. Julie and Kurt talked about some of their favorite interviews last night, shared audio from some and explored the process of writing the book. Julie discussed the challenges of the “instant gratification” of the interview process versus the 2-year long process of writing and releasing the book. An interesting perspective on her own creative processes and adapting to new challenges and finding new ways to be creative in the book writing process. I really enjoyed seeing Julie and Kurt in person. Kurt has a dynamic personality and Julie exudes warmth! I’d be OK with having her as my “local mom”…not to mention that her two sons that asked questions last night (my future “local brothers”) are completely adorable!! I left the event with my signed copy of Spark and a little extra inspiration and creative drive. I guess that’s how creativity works…. I’m really looking forward to reading the book and I’ll give you a full review when I’m done. OH! I almost forgot. This is a COLOR blog. It’s part of the daily gift. Don’t worry. I have some color for you. Can you see Kurt’s socks? It was the FIRST thing I saw when they walked up on stage. He’s dressed in black from head to toe except…PURPLE SOCKS!! Thanks Kurt for helping out with the blog’s color! I was reading about the 1000 Journals Project the other day. The project was started by Brian Singer, a San Francisco designer, 10 years ago with the goal of having journals travel around the world for people to write thoughts, discuss feelings, and share artwork. I just love this idea given that I’ve started adding art to my daily journal. It’s such a fun way to express how I’m feeling, what I’m thinking, or some days to actually discover something I didn’t know was going on in my head or heart. The spirit of the project is to reach into people’s creativity and connect to one another through the journals. The program works by sharing journals filled with creativity and stories of people all over the world, each sharing their thoughts and passing it along to a friend or a stranger. The goal of the project was to provide people a place to be creative while interacting with others around the world. Twelve of the original journals are now on exhibit at the Skirball Cultural Center in LA. The Skirball hopes visitors will understand that “everyone, no matter how busy or how old, is a creative individual and has something to express to the world”. What better reason for an exhibit I say! Not in LA? No problem! You can see some of the journals on the “next generation” 1001 Journals website. Do you have an “art journal”? 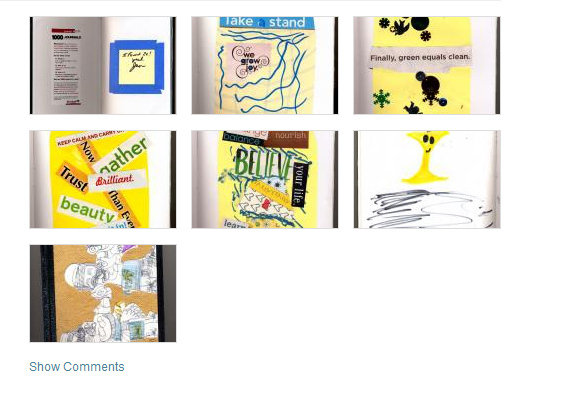 While you’re over at the website, you can upload pictures of your journal pages to share with the project at 1001 Journals. Want to get a journal in your hands and get inspired by the words and art? You can buy the 1001 Journals Book at Amazon.com. “The important thing is to keep creativity alive in our lives, and we hope people become inspired to start their own journals,” Porter said. I have a few groups and friends that I’d love to start a journal with! Who’s in? ?